Doctor Who knows how to keep its fans guessing. Doctor Who is a series which is acclaimed for its time and space defying plots and since its revival back in 2005, one of its most unique selling points has been its inclusion of 'story arcs' which have tied narratives and even whole series' together. It all started with Bad Wolf in Series 1 and since then the writers' have become much more ambitious when it comes to planting the seeds for stories yet to come. Just look at Steven Moffat, for example, whose time as showrunner thus far has been a rollercoaster of timey-wimey treats and pay offs. 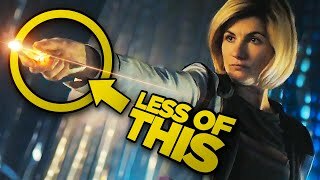 Whether it's been Saxon, the Silence or, most recently, Missy, there's always something to encourage the more avid Doctor Who viewer to dig a little deeper and get more from their favourite show that meets the eye. It's important that the underlying arc should never detract from each standalone adventure, though, and it's a testament to the show's writing that this is (usually) never the case. 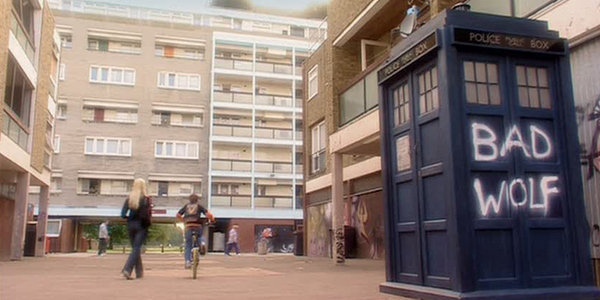 This list sets out to explore the most predominate themes that have been present throughout the revived series so far, in terms that even the casual viewer can understand (although it's no coincidence that the sections attempting to explain Steven Moffat's storylines are twice as long as the ones analysing Russell T Davies' arcs). It's sometimes easy to get bogged down in the endless foray of twists and turns (and yes, Series 6, thats aimed at you...) so hopefully this list will be able to make some sense of the whimsical chaos. But it's the whimsical chaos that makes Doctor Who so great, right? Dan Butler is the Doctor Who Editor at WhatCulture.com. When he isn't writing his own articles or editing other people's, he can be found trawling the internet for gifs of Steven Moffat laughing. Contact him via dan.butler@whatculture.co.uk.